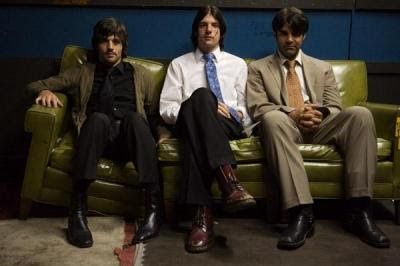 Well, The Avett Brothers won't technically be on stage with Jay-Z, but the folk-rock band from Concord will share a date with the greatest rapper of all time at this year's Coachella festival. Jay-Z is the headlining act on Friday, April 16 and The Avett Brothers will perform earlier in the day. Click here for the lineup of more than 130 musical acts performing over three days. In other TAB news, the band recorded a cover of Tom T. Hall's "I Love" and it appears on Starbuck's just-released Valentine's Day compilation, Sweetheart 2010, which includes 14 artists performing their favorite love songs. Click here to order the CD off iTunes.